If you've read our positive reviews of the Checkout 51 and ibotta apps, you know that we love a simple, mobile way to cash in on rebates, particularly when it comes to purchasing groceries. As supermarkets continue to cut down on their double coupons, it's nice to have new and innovative ways to save money, and these apps give you rebates on specific products. Shopmium is another free app that operates much the same way that Checkout 51 and ibotta do. You'll find products within the app that you plan to buy, and then once you make the purchases, you will just scan the barcode and take a photo of your receipt using the app. It uploads your receipt automatically and confirms that you bought a matching product. Shopmium then deposits the rebate into your PayPal account once the company processes it. With Shopmium, you can buy the products anywhere you want, as long as you purchase the specific item that's listed in the app. Although you already know how valuable it is to combine the offers in these apps with sales and coupons to maximize your savings, you may not realize that you may be able to cash in your savings using all three app rebate programs. What this means is that if a particular item is listed in Shopmium, Checkout 51 and ibotta, you can upload your receipt to all three apps and collect three times the rebate. When combined with sales and coupons, this means you could often be getting items for free. For instance: Right now, the Glade Plug-Ins Customizables Starter Kit is on sale at Walmart for $6.98. The Shopmium app is offering you 35 percent of your purchase price back as a rebate when you purchase the product (see above for a photo), which means Shopmium will give you back $2.44 based on the Walmart price. In addition, Checkout 51 is offering $2.00 cash back on the purchase, which means your purchase price after cash back rebates is $2.54. However, you can get a coupon for $3.00 off of this product at the SC Johnson website. If you use that, the Glad product ends up being free. Or, more specifically, you'll profit by 46 cents. Although the Glade product isn't on the ibotta app this week, there are several crossovers that ibotta has. In fact, all three apps have rebates on belVita Soft Baked Breakfast Biscuits this week, so if you cash in the rebates using all three apps and combine that with sales at your stores, you can get the breakfast biscuits for less than half of the normal purchase price. 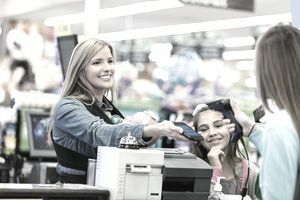 Your best option when trying to save the most money during your next grocery trip is to create your shopping list based on the sales circulars and the coupons you have, and then check these rebate apps to match up the additional cashback offers you can benefit from during your shopping excursion. This way you can double check that you're buying the right product while you're in the store by cross-referencing it against the specifics listed in the three apps, and you'll be sure to get your rebate after the fact.